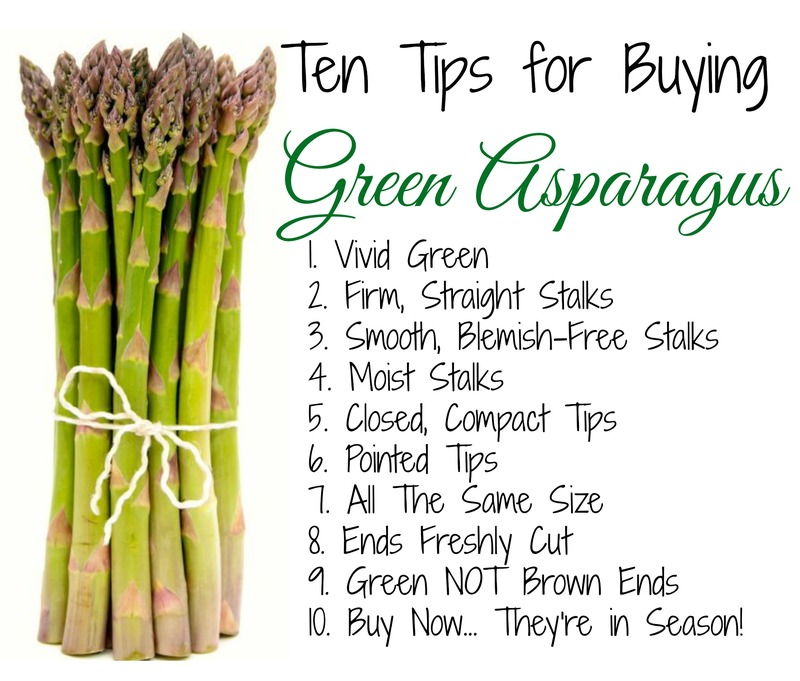 Asparagus are in season NOW, so here’s a guide to the Top Ten Tips for Buying Green Asparagus! Print out this handy-dandy guide and take it with you to the farmers market or grocery store to help you find the perfect spears. I’ve also included a pretty terrific recipe for Asparagus with Lemony Breadcrumbs (see below the graphic). Trim asparagus ends and set aside. Heat olive oil in a medium skillet over medium heat. Add panko, minced garlic and salt and cook for 5 to 7 minutes or until golden brown. Remove from heat. Whisk zest and lemon juice together in a small bowl until well blended. Stir the lemon mixture into the panko breadcrumbs; set aside. 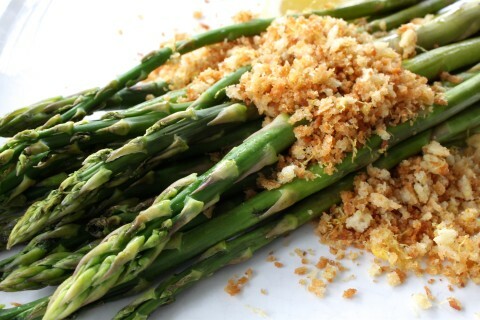 Steam the asparagus in a microwave safe dish for 2 to 3 minutes. Be careful not to overcook, they should be crisp-tender. Sprinkle with breadcrumbs and serve immediately. cooking know how: If you don’t have a microwave steamer, use kitchen string to tie asparagus into a bundle (you may have to make 2 small bundles). Place in 1-inch of water in a tall, covered saucepan and simmer for 5 to 8 minutes or until tender. 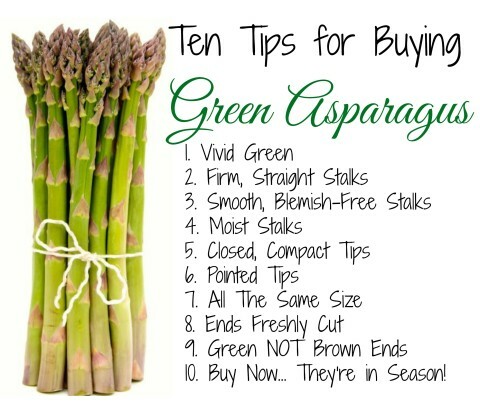 You can also lay the asparagus on their sides and steam in a metal or bamboo steamer.